As one of the USA’s coolest cities, San Francisco promises endless urban thrills; think crossing the Golden Gate Bridge, shopping in Union Square, enjoying the carnival fare of Pier 39, and boarding a boat to Alcatraz (aka The Rock). But there’s also plenty of visit-worthy places to be found just a short drive (or ferry ride) from the downtown area. Here’s our guide to the best day trips, all of which show a different side to “The City by the Bay”. 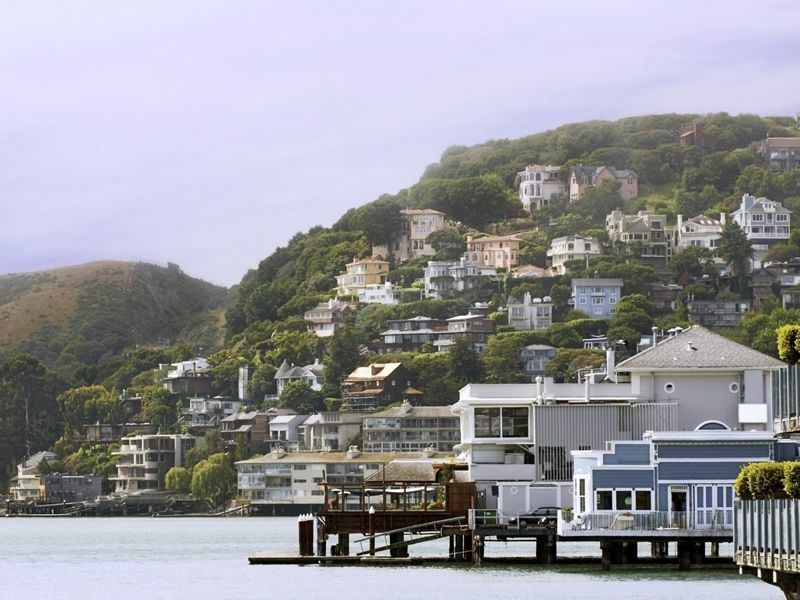 Just an hour’s ferry ride over the Golden Gate Bridge out of San Francisco, Sausalito is the undeniably quaint nautical neighbourhood most famous for its cluster of brightly-coloured and bohemian-style Richardson Bay “floating homes” dating back to 1950's and 1960's. Once you’ve marvelled at these eccentric houseboats (most of which are adorned with surreal artworks, rickety benches, and wonderful garden displays), must-dos include strolling along the Bridgeway Promenade for amazing views of the Bay and the San Francisco skyline, visiting the public art studios and galleries on Caledonia Street, and shopping for souvenirs in the one-off boutiques. Further not-to-be-missed delights include the Bay Area Discovery Museum for its kid-friendly activities, the Headlands Centre for the Arts for its ever-changing exhibits, the Bay Model Visitor Centre for its 3D model built in 1957 by the U.S. Army Corps of Engineers, and the original 1959 Heath Ceramics factory for its interesting working tours on Friday, Saturday, and Sunday. Only 30-minutes north of San Francisco’s urban core, the Marin Headlands is the hilly 12,000-acre peninsula at the southernmost end of Marin County that delights day-trippers with a slew of natural wonders (Rodeo Beach, Gerbode Valley, Hawk Hill, Tennessee Valley) and historic sites (Point Bonita Lighthouse, Fort Cronkhite, SF-88 Nike Missile Site, Battery Townsley). Must-dos include driving along Conzelman Road from the northern foot of the Golden Gate Bridge to Point Bonita (this five-mile road offers excellent views of San Francisco and the Pacific Ocean), learning about the area’s unique geology at the Visitor Centre in Fort Barry, and stopping for a summertime picnic at Battery Wallace. There’s also a huge amount of hiking trails; from intense all-day treks to shorter half-day loops. But if you’re short on time, the half-mile Point Bonita Lighthouse Trail is perfect; not least because it gets you up-close with the third lighthouse built in the San Francisco Bay area (it was completed in 1855 after Alcatraz and Fort Point lighthouses). 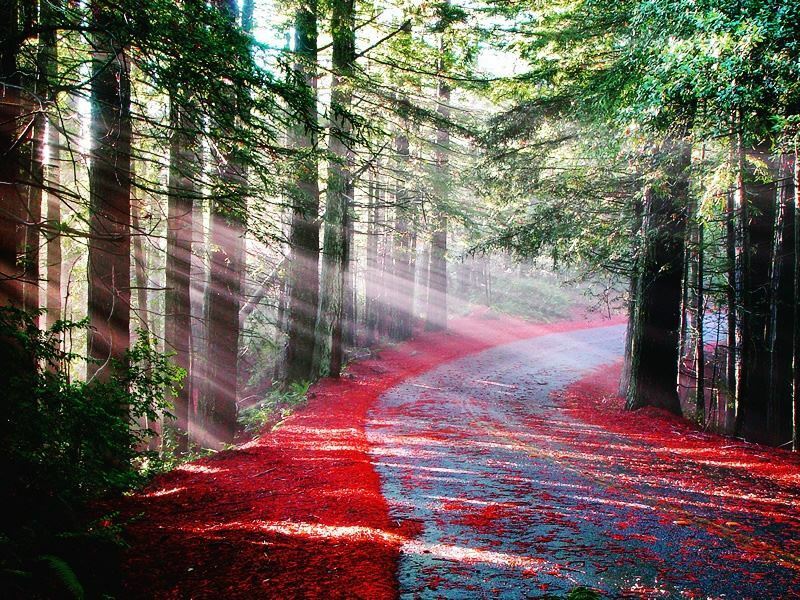 Approximately 45 minutes north of San Francisco over the Golden Bay Bridge, this 554-acre forest (a proud member of the National Park Service and a National Monument since 1908) is famous for its indigenous old-growth coastal redwoods - some of which measure 250-feet-high. Named in honour of 19th century Scottish naturalist John Muir, who described this place as “the best tree-lovers monument that could possibly be found in all the forests of the world”, it offers plenty to please nature-lovers: free ecological tours with park rangers, copious wildlife-watching, and a decent amount of educational signs along the main wooden paths. But it’s the hiking trails of varying difficulty and distance that draw the crowds, especially the easy Canopy View Trail that will have you craning your neck upwards for over three miles. Alternatively, try the one-hour Main Trail Loop from Muir Woods Visitor Centre to Cathedral Grove, the two-hour Fern Creek Trail to Camp Eastwood, or the three-hour Dipsea Trail that returns via the Ben Johnson Trail. 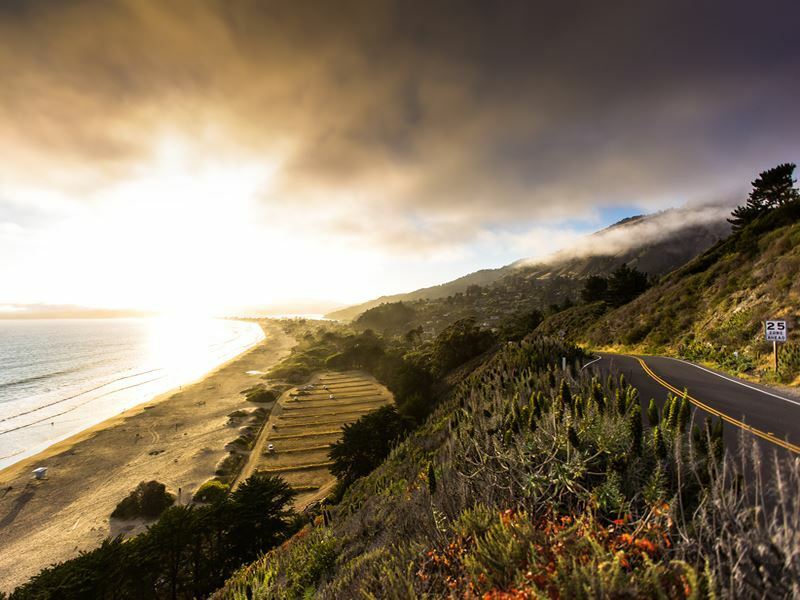 An easy 35 minutes north of the Golden Gate Bridge via Highway 1, Stinson Beach is San Francisco’s white-sand superstar surrounded by striking red cliffs, a jagged Pacific coastline, and the forested slopes of Mount Tamalpais. Named for landowner Nathan H. Stinson who bought the surrounding land in 1866, it has become one of California’s most beloved spots for surfing (the biggest waves tend to be near the lifeguard stand), swimming (the shallow waters make it super-safe for kids), and shore-gazing (sightings of dolphins, seals, and whales are very common). Once you’re done with building sandcastles, playing frisbee, and hunting for shells, take time to refuel at one of the town’s restaurants (the Breaker’s Cafe, the Sand Dollar Restaurant, and the Parkside Snack Bar are all wallet-friendly). Also worth a visit is Stinson Beach Market for its organic food and deli goodies at, Stinson Beach Books for its olde-worlde charm, and the Stinson Beach Gallery for its original works by contemporary artists. 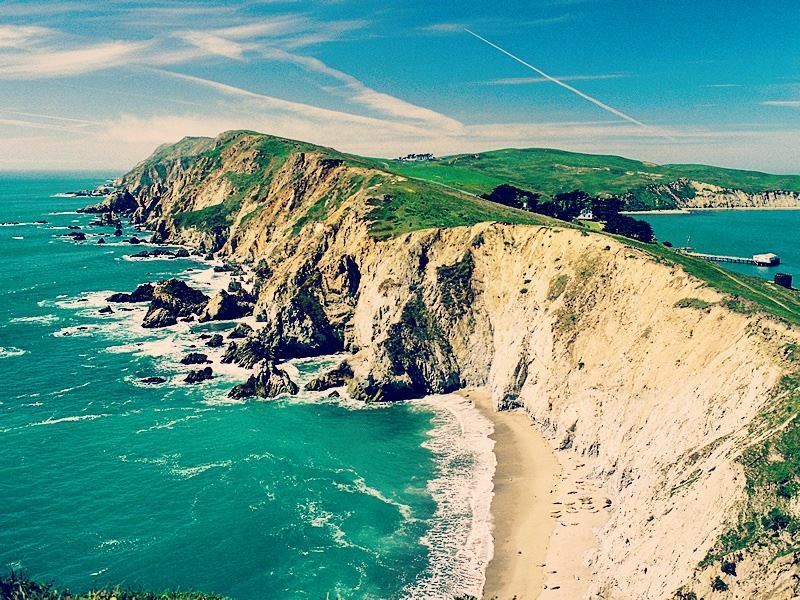 An hour north of San Francisco, the 70,000-acre Point Reyes National Seashore jutting out into the Pacific Ocean protects more than 1,500 animal and plant species and around 80 miles of shoreline (this peninsula was where Sir Francis Drake famously landed in 1579 and claimed California for England). 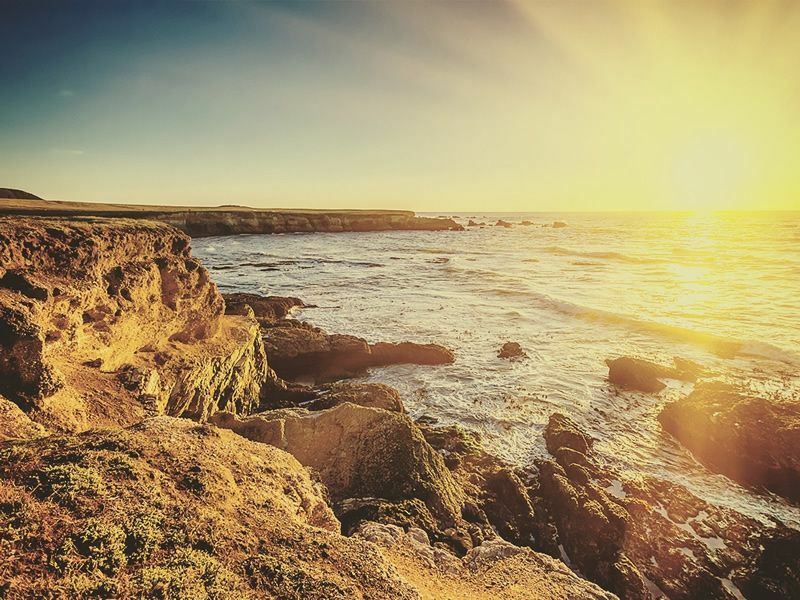 For nature-lovers, highlights include the Bear Valley Visitor Centre for its ecological exhibits and ranger-guided tours, the Point Reyes headlands and park beaches for its annual gray whale migration (January to April), and the Great Beach for it world-famous beachcombing. Further thrills include wildlife-watching at the Tule Elk Reserve on Tomales Point and the Elephant Seal Overlook near Chimney Rock, enjoying a cardio workout down 300-plus steps to the historic Point Reyes Lighthouse, and spending time photographing the wild meadows, plunging sea cliffs, and wind-sculpted dunes. If you fancy extending your visit, pitch a tent at one of four backcountry campsites (two of them are along the 17-mile Coast Trail). 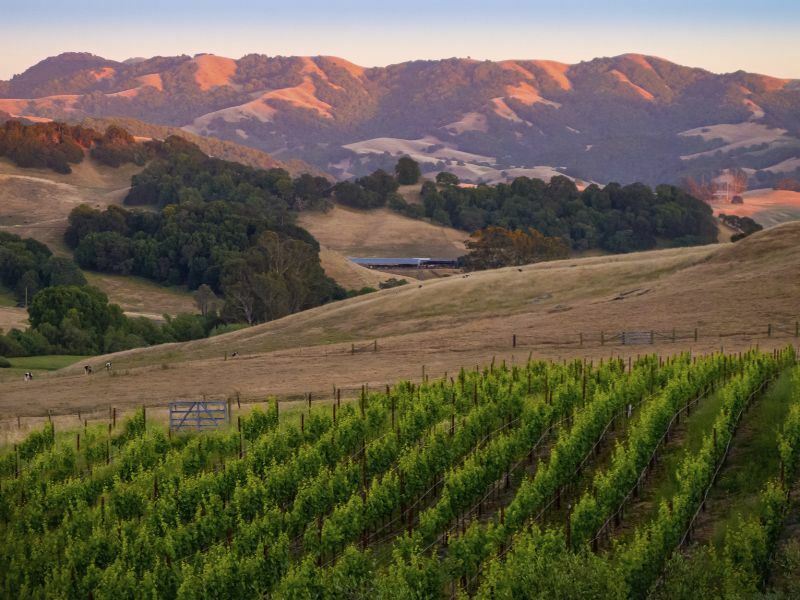 The "Best Small Town to Visit in the USA” accolade bestowed on Sonoma by US News & World Report last year has done wonders for the historical town in the heart of one of America’s top winemaking regions. Just an hour from San Francisco, this under-the-radar place known as “Napa's rustic, less-refined, and more-relaxed sister" really does have it all: terrific wineries (practically every California grape variety is found here), fabulous tasting rooms and farm-to-table eateries, and a 55-mile coastline that’s perfect for hiking, fishing, camping, horseriding, and watersports. It’s also home to the Sonoma Plaza - the eight-acre town square lined with charming shops and anchored by the Mission San Francisco Solano de Sonoma (the last Spanish-Mexican mission built in California). 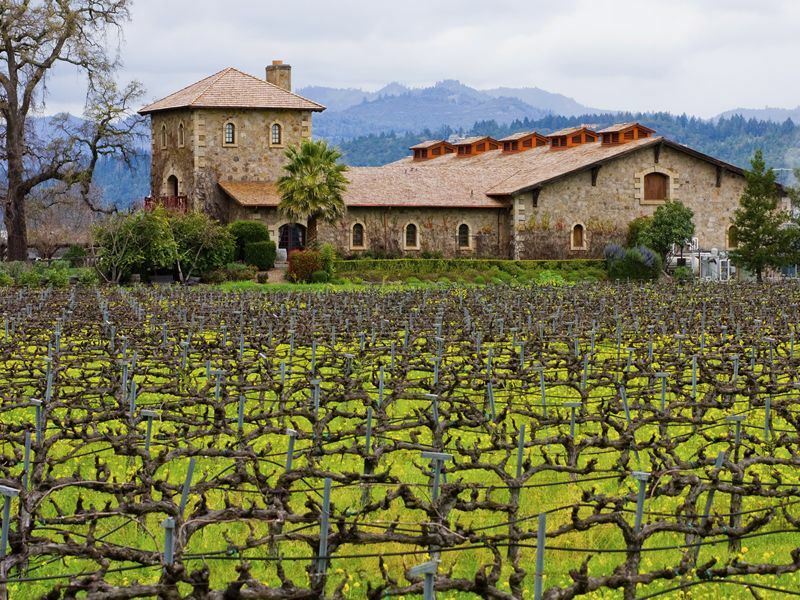 If you’re only spending an afternoon here, be sure to factor in a visit to the Buena Vista Winery (California’s oldest commercial winery), the Sonoma Barracks, and the 1850's of estate of Lieutenant Colonel Vallejo (the town’s founder). A 90-minute drive from San Francisco over the Golden Gate Bridge, Napa Valley is the showstopping wine-producing region complete with world-class vineyards and wineries, Michelin-starred gourmet restaurants, and the perfect climate, soil, and topography to harvest legendary Chardonnays and prized Cabernet Sauvignons. Quaffing aside, must-dos include boarding the Napa Valley Wine Train for glimpses of wineries in Napa, St. Helena, Rutherford, Yountville, and Oakville, hiking in the 55,000-acres of protected hills, fields, and surrounding Mayacamas and Vaca mountain ranges, and exploring the area’s many art galleries, studios, museums, and outdoor exhibitions. Further non-alcoholic thrills include booking therapeutic mud treatments at Calistoga’s spas, taking hot air balloon rides above the vineyards, visiting the Napa Valley Museum to get more info on the area’s cultural heritage, and heading to Napa River to try kayaking, paddle boarding, and canoeing (rentals and lessons are offered by local operators). 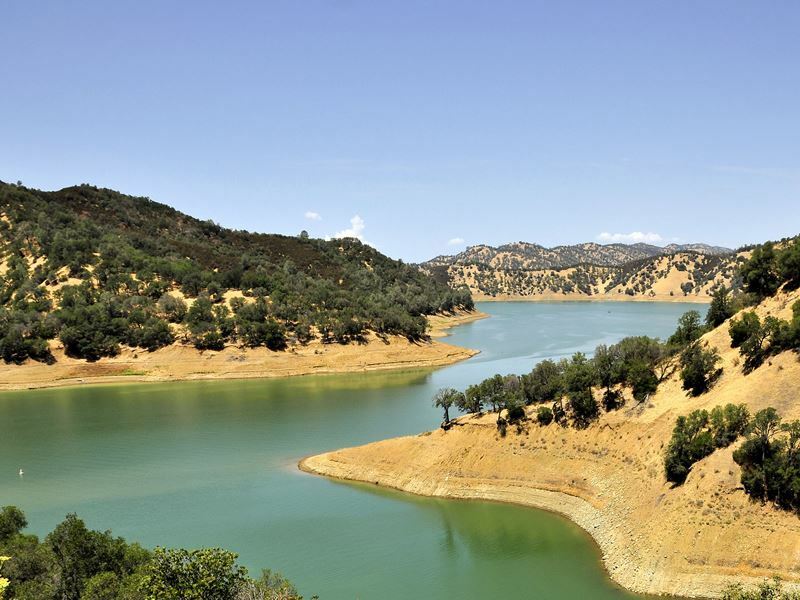 A couple of hours from San Francisco by car and just up the hill from the Napa Valley floor, the 23-mile-long Lake Berryessa is the largest in Napa County (the fact that it can hold 521 billion gallons when full also makes it one of the largest bodies of freshwater in California). Complete with a dedicated 2,000-acre wildlife area that runs along its entire east side from Monticello Dam to Eticuera Creek, this aquatic escape - named for the area’s first European settlers - provides plenty of outdoorsy fun: swimming, fishing, hiking, cruising, wakeboarding, tubing, cycling, kayaking, canoeing, and paddleboarding (the lake has two marinas and three recreation areas). Undeniably, its star attraction is the Glory Hole - a gigantic man-made vertical spillway right by the Monticello Dam along Highway 128. Described by visitors as looking like "a terrifying hole into the underworld", this unconventional flood control system operates like a giant bath plug as it drains away excess water and keeps the dam from overflowing. 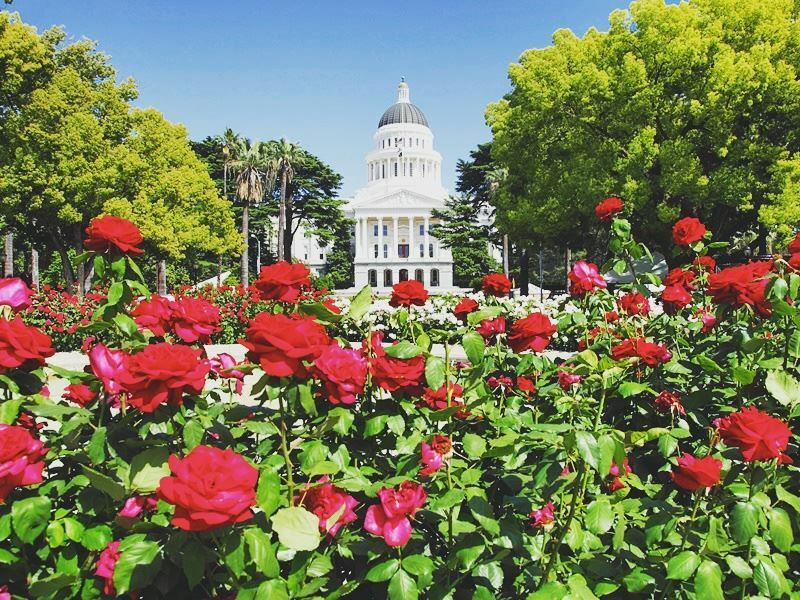 Only 90-minutes from San Francisco, California’s easy-to-navigate capital city of Sacramento tempts with gorgeous weather, gracious Midwestern-style hospitality, a vibrant foodie scene, and heaps of history (it was once the centre of the Gold Rush). It’s also teeming with cultural attractions; most famously the iconic California State Capitol, Tower Bridge, Sutter’s Fort, City Historic Cemetery, and Old Sacramento - a 28-acre historic district on the waterfront that’s a crowd-pleaser for cowboy fans and lovers of all things Old West. Must-dos include shopping and gallery-hopping in the hip Midtown area, stocking up on organic goodies at the Certified Farmers' Market (Sundays only), and cycling along the 32-mile Jedediah Smith Memorial Bike Trail that hugs the banks of the American River. Should time allow, take a visit to Old Sacramento State Historic Park, step back in time at the California State Railroad Museum, meet the animals at Sacramento Zoo, and be wowed by 150 classic cars at the California Automobile Museum. 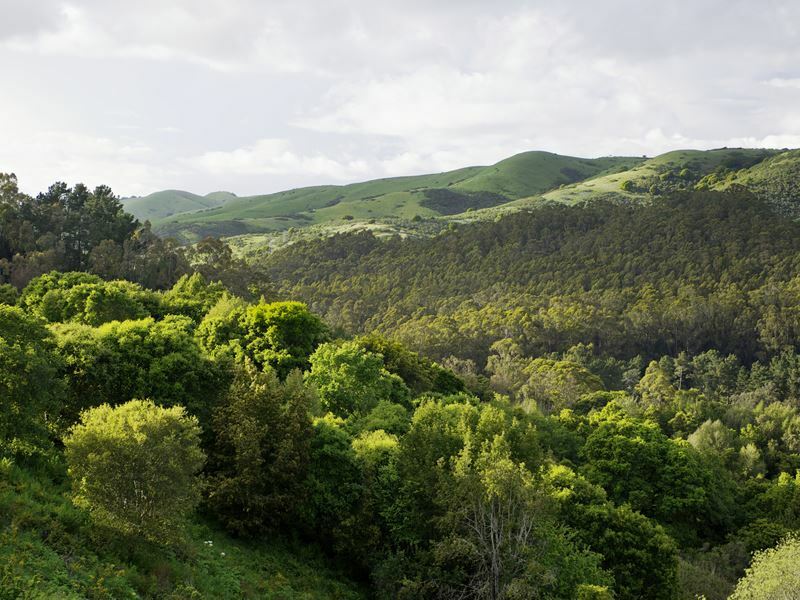 A 30-minute drive from San Francisco (use Interstate 80 and continue to drive north), the 2,427-acre Wildcat Canyon Regional Park that extends from the Tilden Nature Area above the Berkeley hills in the south to Richmond in the north is where you’ll find indelible vistas that often rank amongst the best in the Bay Area. Without a doubt, the star attraction is Alvarado Park - a serene retreat (and designated National Historic Place) at the mouth of Wildcat Canyon that features distinctive WPA-era stonework, an ancient bridge, classical stone lampposts, lovely picnic areas, a wonderful play area for children, and easy access to Wildcat Creek. Also worthy of your attention are the 25 miles of trails, including the wide paved trail on Nimitz Way and the series of easy and challenging single-track trails in the wildlife-rich Tilden Nature Area (springtime is the best time to visit, especially when the wildflowers are in bloom). 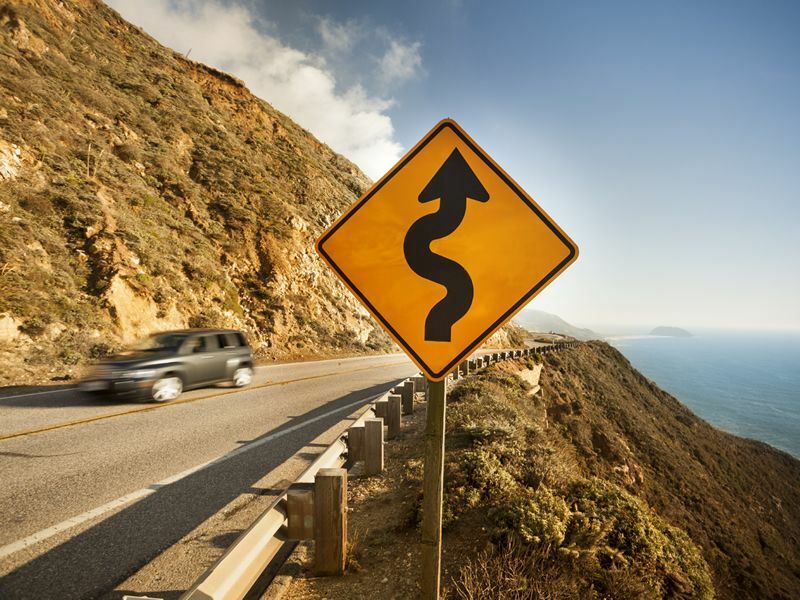 A two-hour drive from San Francisco along Highway 1, no California adventure is complete without a sojourn to Carmel-by-the-Sea - the quaint and quirky former seaside artists' colony that once had Clint Eastwood as its mayor (he served one term, from 1986 to 1988). And while you won’t find any street addresses, chain restaurants, or even high heels here (you need a permit to wear shoes over two inches in height), you can expect a one-square mile village packed full of historic sites, art galleries, boutique shops, fairy-tale-like cottages, relaxing spas, and upscale places to eat and drink. 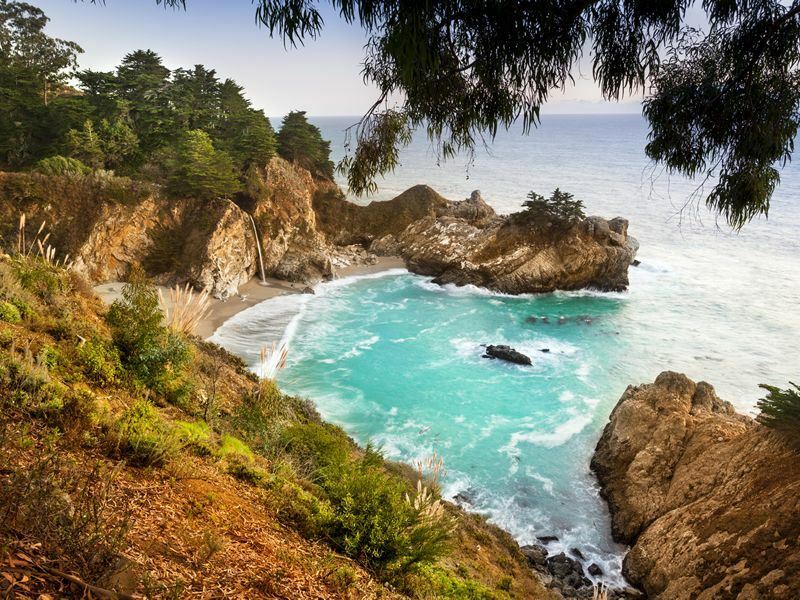 Must-dos include relaxing by the water's edge at the white-sand Carmel Beach, marvelling at the historic Mission San Carlos Borromèo del Carmelo, booking a tour of 20th century poet Robinson Jeffers’ Tor House, and taking photographs at Point Lobos - possibly one of California’s most mesmerising two miles of seacoast. Should time allow, the self-guided historic walking tour is a great introduction to the town’s whimsical and fantastical buildings. 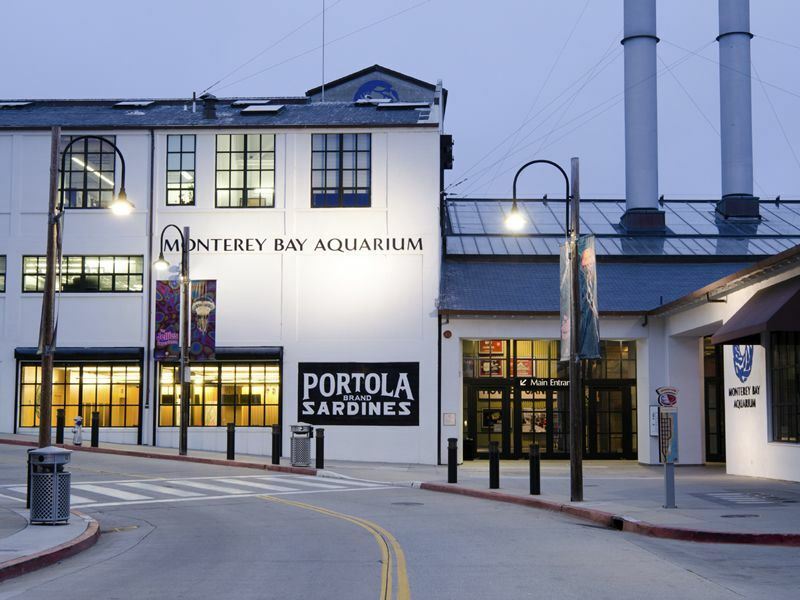 Only a couple of hours from San Francisco, the Monterey Bay Aquarium is located at the ocean's edge on Cannery Row - the city’s historic street that’s home to a number of one-time sardine canning factories that have been refurbished as restaurants, galleries, and shops. Established by philanthropists David and Lucile Packard and now owned by the Monterey Bay Aquarium Foundation, this 322,000 square-foot facility has been wowing visitors for over 30 years; not least for its 35,000 marine species from across the globe (it also pulls focus on the species found around Monterey Bay). Expect a dazzling array of exhibits (including Tentacles, Giant Pacific Octopus, Kelp Forest, Mission to the Deep, Open Sea, Sandy Shore & Aviary, Sea Otters, and Splash Zone & Penguins), an exciting schedule of daily shows and feedings, and even a behind-the-scenes tour for the ultimate insider’s view. An average visit here lasts two to three hours, but you can easily spend the whole day here and still have plenty to see. While an overnighter is always the best option, a full day spent gliding along through the wilderness of the Big Sur is hugely gratifying. Named by the Spanish as El Pais Grande del Sur (Big Country to the South), this Highway 1 road trip that takes you between the mountains and the ocean for 85 miles captures all that’s great and good about California’s outdoors: redwood forests, scenic beaches, and some of the coolest trails on the central coast. 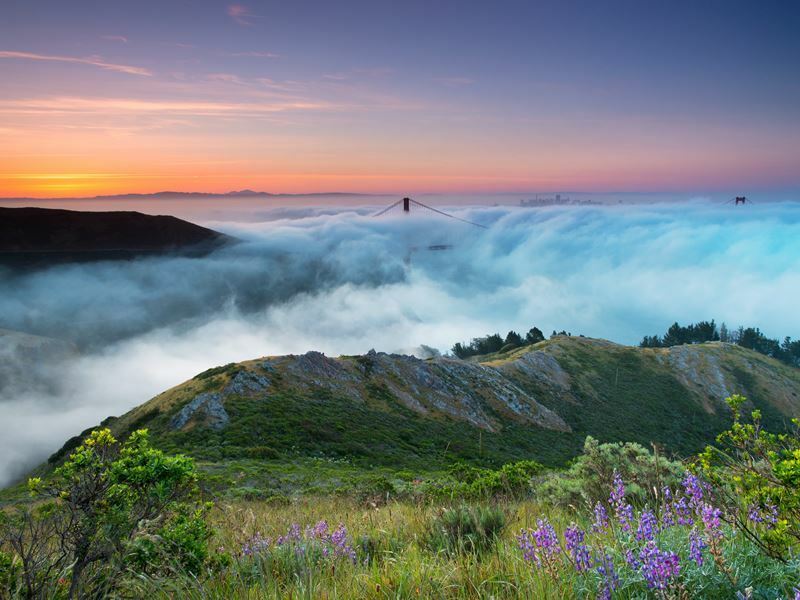 It also overwhelms with mind-blowing stops for adventurers, including the 3,379-foot-high Manuel Peak at Pfeiffer Big Sur State Park, the 80-foot-tall McWay Falls at Julia Pfeiffer Burns State Park, and the 714-foot-long Bixby Creek Bridge (one of the state’s most photographed attractions). For a cultural fix, dine at the iconic Nepenthe Restaurant for heart-melting views of the Pacific Ocean and the Santa Lucia Mountains, and visit the tiny Henry Miller Memorial Library to browse books, relax with a coffee, and possibly watch a live gig (Band of Horses, Red Hot Chili Peppers, Arcade Fire, The Flaming Lips, Neil Young, and Alanis Morrisette have performed here).